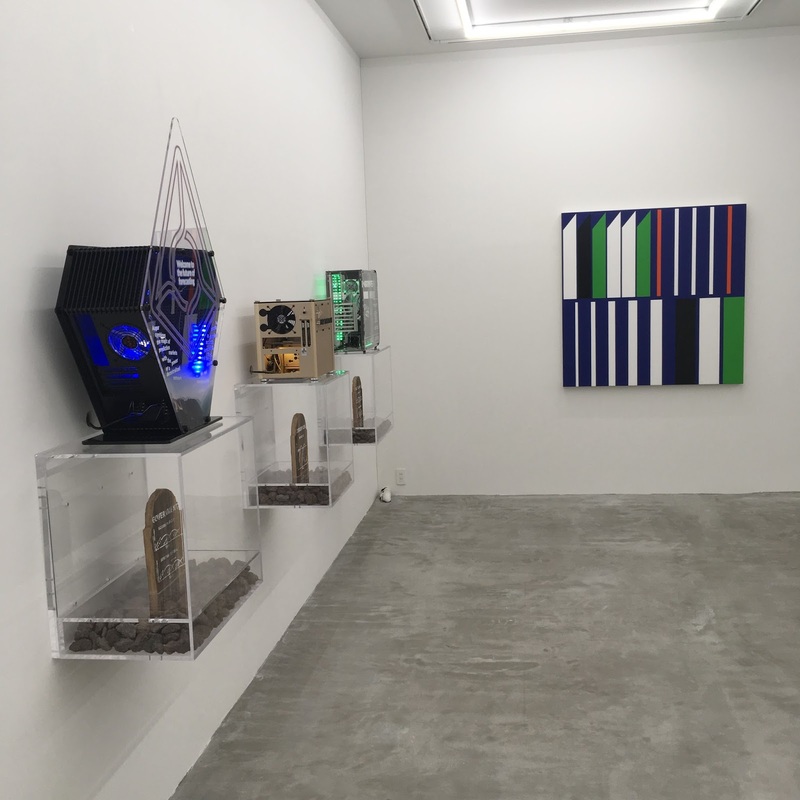 Nanzuka and Petzel Gallery come together to present, Petzel at Nanzuka, a group exhibition featuring works by Simon Denny, Sarah Morris, Joyce Pensato, Seth Price, Dirk Skreber, Hiroki Tsukuda, and Nicola Tyson. 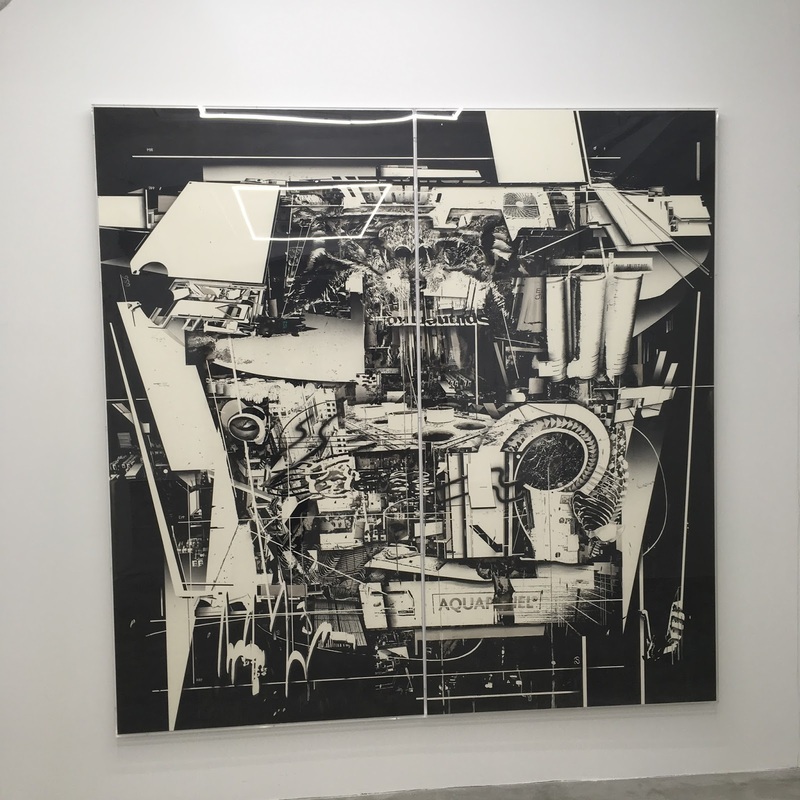 The New Zealand born, Berlin-based artist, Simon Denny, who exhibited his first solo show in Asia earlier this year at OCAT, Shenzen, China, exhibits three sculptures that explore Blockchain, the technology that underpins the digital currency Bitcoin. 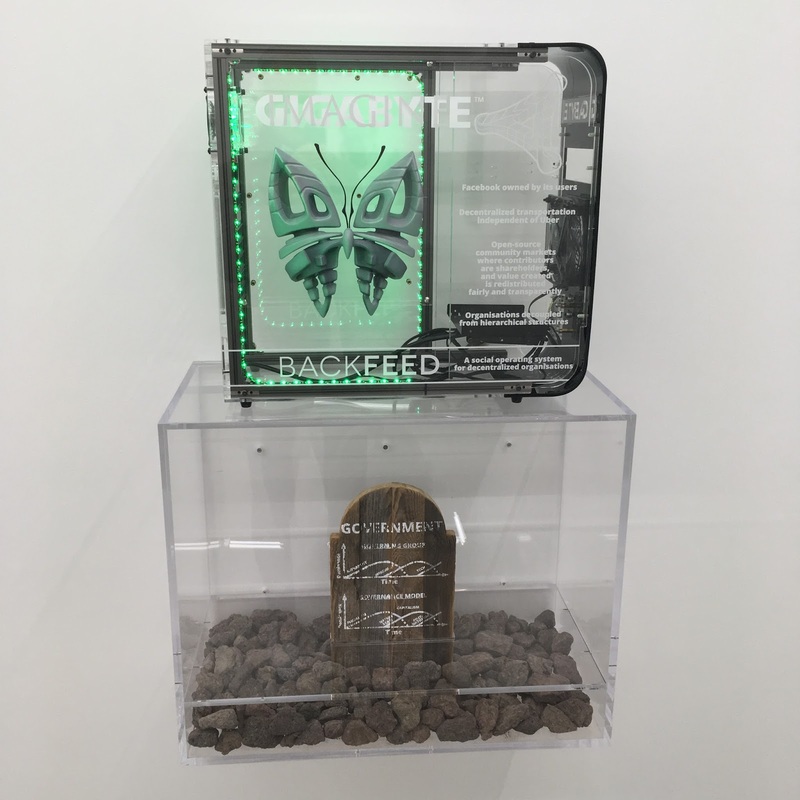 The sculptures, each composed of diverse media including Plexiglas, wood, and LEDs, examine how Blockchain could shape future societies and scrutinize competing views about the ways technology should evolve. Futurism similarly threads through the work of Sarah Morris. Known for her unique use of vivid color and grid-like geometric shapes, Morris’ Italia [São Paulo] (2015), represents this American artist’s quintessence. Rendered in household gloss paint on canvas, Morris’ work uses reduced and expanded abstractions to examine and reveal the multilayered identity of her chosen geographical location, in this case São Paulo, Brazil. 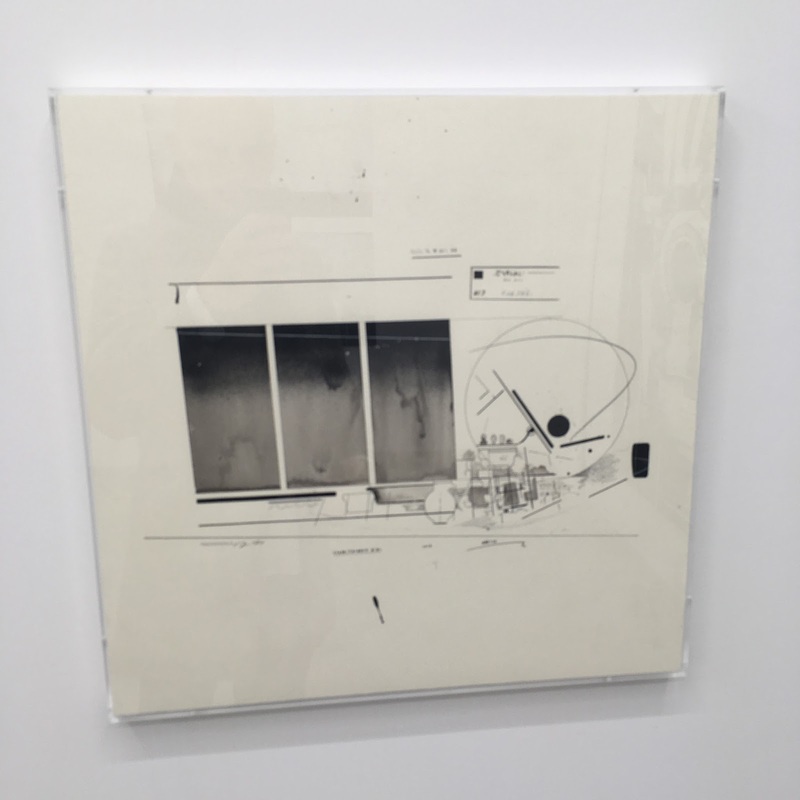 Morris’ architectural and sociopolitical examinations include New York, Rio, and Beijing, among others. 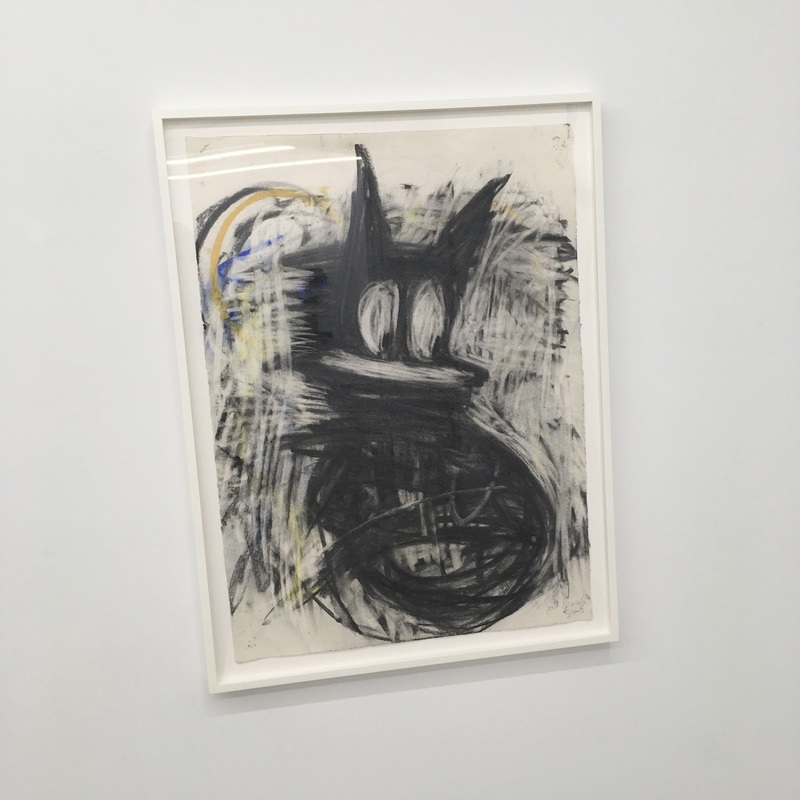 Brooklyn, New York native, Joyce Pensato, has for many years engaged with the expressive power of cartoon and comic book characters. 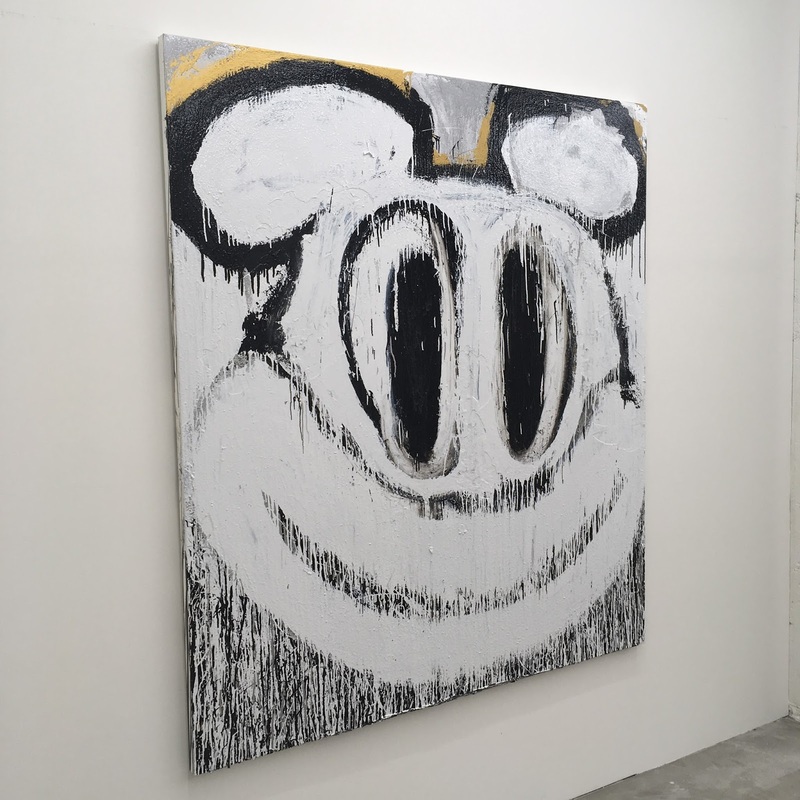 Her large-scale enamel paintings as well as her smaller charcoal drawings show iconic figures such as Batman, Mickey Mouse, and Homer Simpson. 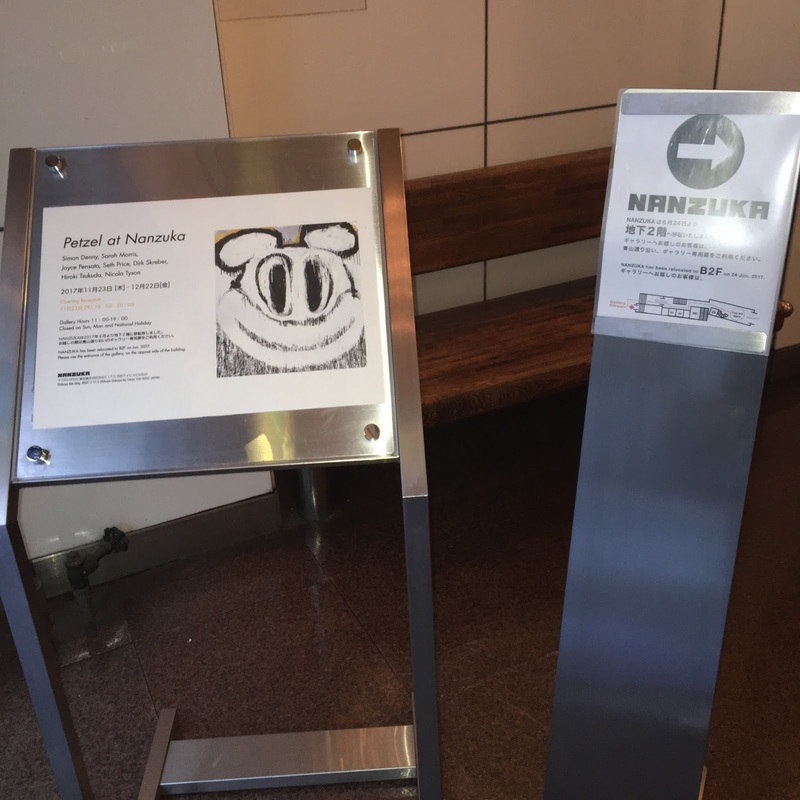 For Nanzuka, Pensato exhibits new paintings and drawings, which capture not only the illustrative figuration of Pop Art, but also the gestural physicality of Abstract Expressionism. 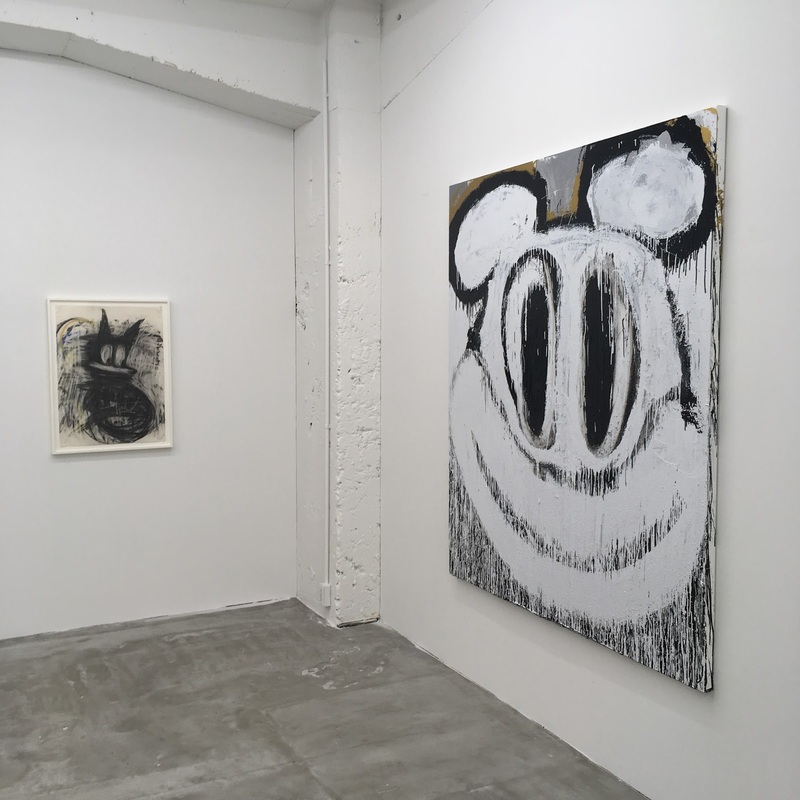 Logo Test Scrap (2015) and Mascot Test Scrap (2015), the two works on display by American artist Seth Price, showcase the artist’s long-standing interest in the distribution and dispersion of images and the experimental methods of production. 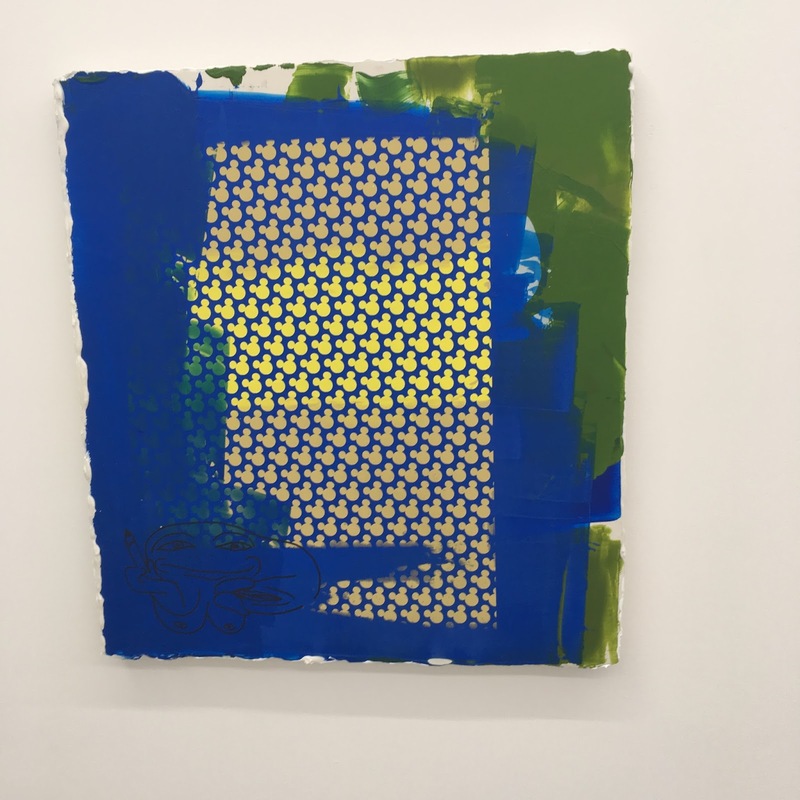 The application of repeating logos is ‘tested’ in both works, hinting at the artist’s practice while referencing Price’s exploration of security envelopes and reinterpretation of existing images. 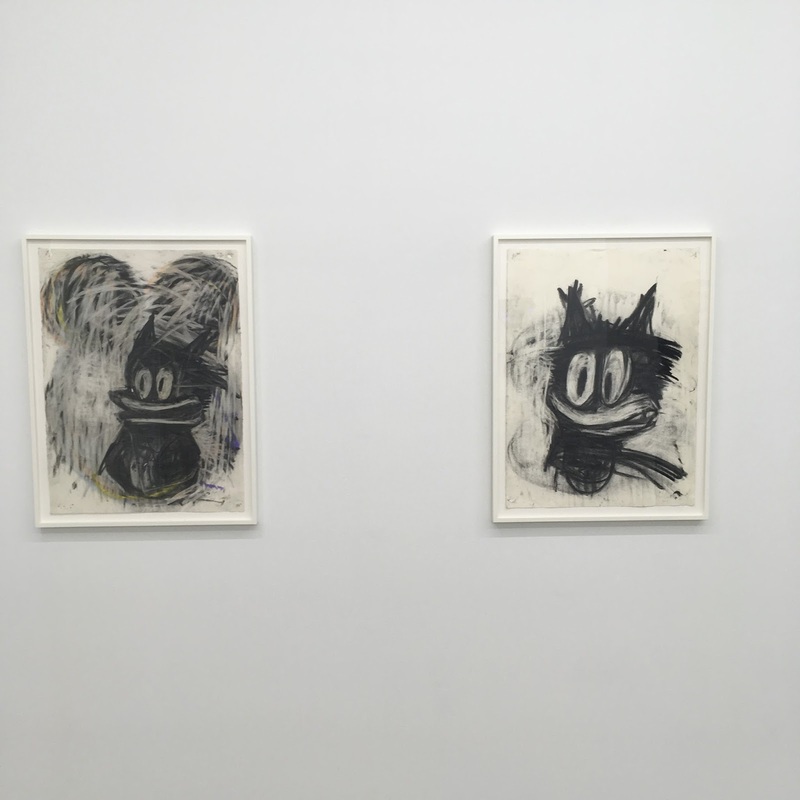 These works also feature the artist’s mascot of sorts, a hermaphroditic cartoon face wielding a pencil and a wry smile, which first debuted in works from this series. 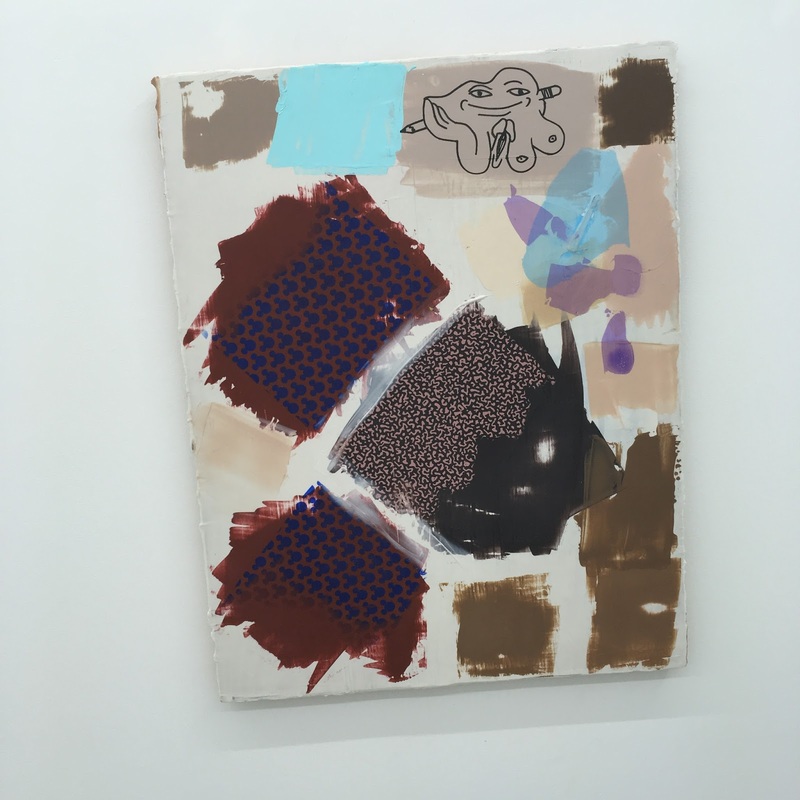 German born, New York-based artist Dirk Skreber will debut two new works at Nanzuka. Painted on aluminum, each diptych takes two corresponding images and places one atop another. 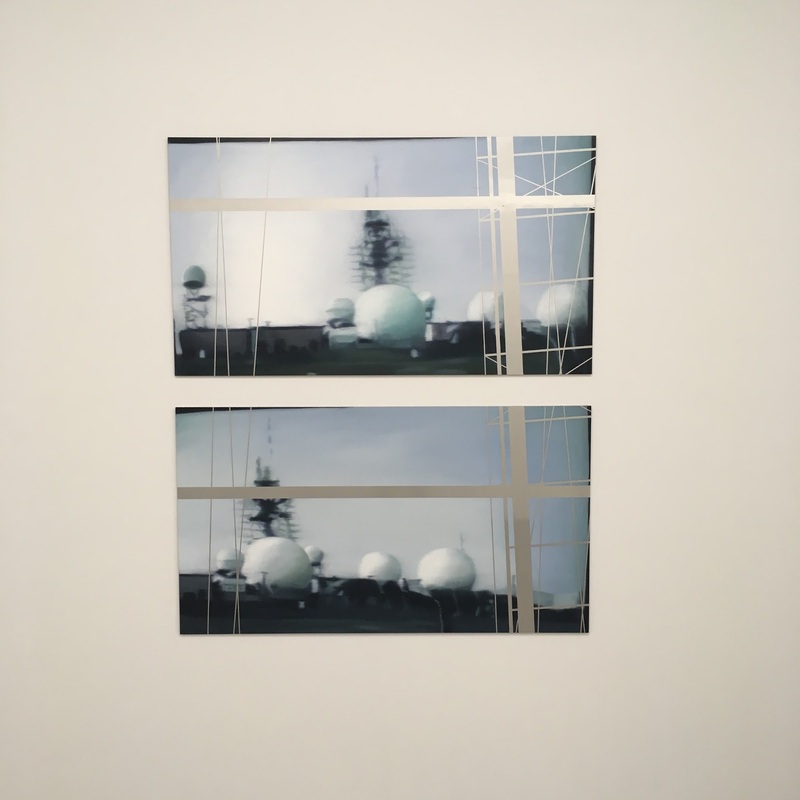 With an almost filmic air, the image alternates from one ambiguous frame to the next, showing a grounded but running aircraft in one diptych and a cluster of radomes from former military listening stations built in Germany during the Cold War in the other. Meanwhile, rectilinear bands and spherical interventions appear from beneath the painted surface to further obfuscate the picture as a whole. 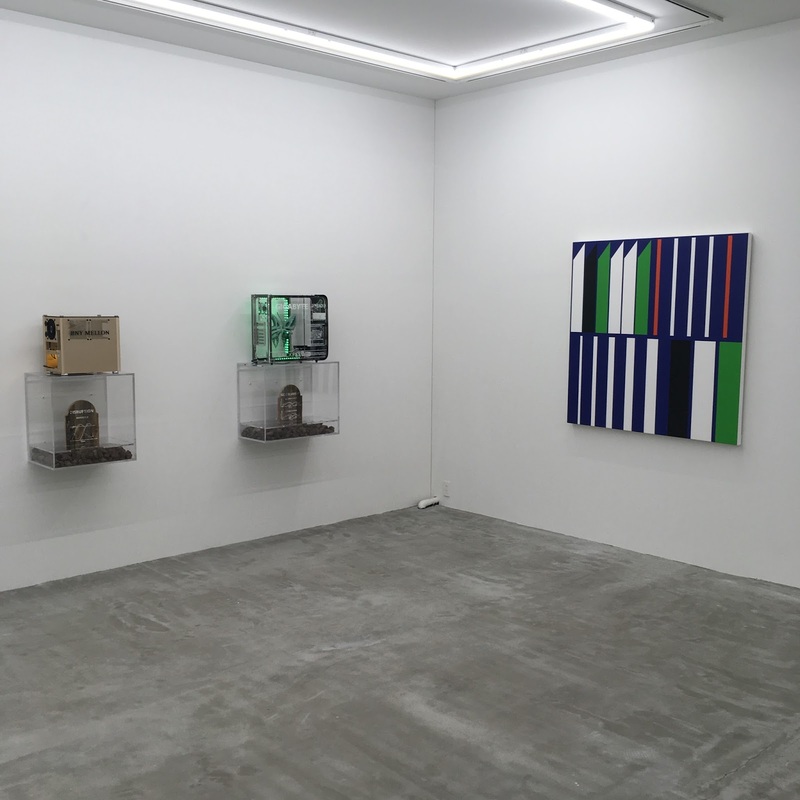 Contradictions of a different sort can be seen in the work of Hiroki Tsukuda, whose first museum show was exhibited at Neuer Aachener Kunstverein in Aachen, Germany earlier this year. Within Tsukuda’s complex three-dimensional installation, and through the layering of collected, found, and common materials, the artist creates in reality the parallel world of his own imagining—a fusion of past, present, and future. Tsukuda’s intricate ink and charcoal drawings envision a pictorial world that demonstrates the artist as an archaeologist of images. 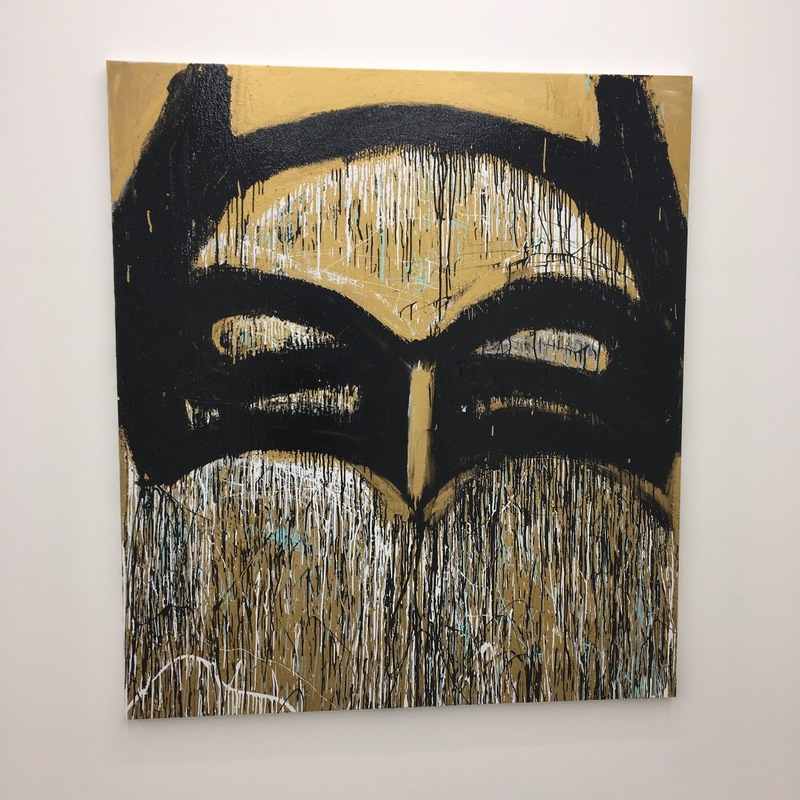 For British born, New York-based Nicola Tyson drawing is a distinct practice: “When I begin to draw, I have no idea what’s going to appear. I work swiftly, to stay just ahead of the cage of language, the linear mind and rational decision-making. 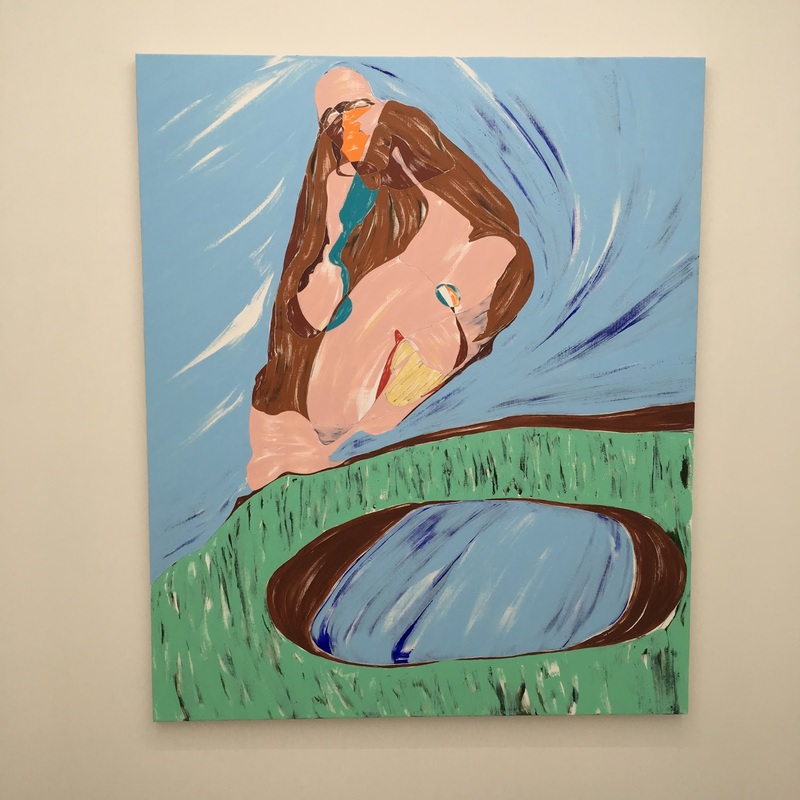 I just let the forms grow themselves—self-organize…” Tyson’s new, never-before-exhibited painting, The Grin, portrays a giant head rising up from a patch of landscape, featuring a small pool of water. The huge grinning face appears to gaze at its own image in the pool, but all we see is the blue of the reflected sky. Another smaller head emerges from the top of its head—like a fleshy bump—and gazes at us directly. Together, these seven artists investigate salient topics that pervade today’s society. 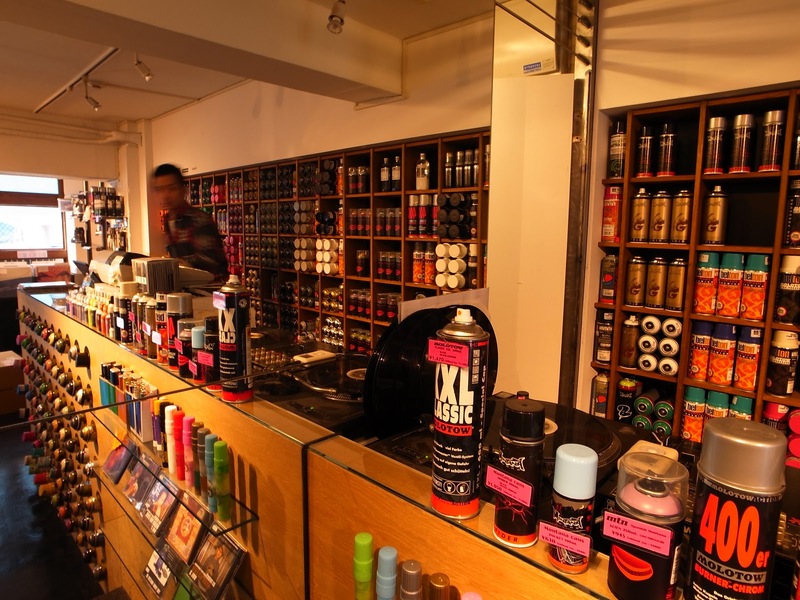 The reinterpretation of images and the exploration of potential futures, combined with a variety of working methods, produce a diverse body of works that hope to individually reshape the current society that we live in today.